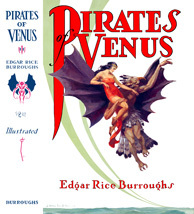 Exclusively Authorized by Edgar Rice Burroughs, Inc. 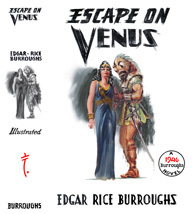 The covers for PIRATES and ESCAPE are completely reconstructed from scans of the original paintings by J. Allen St. John and John Coleman Burroughs. These jackets feature much more detail than the originals! 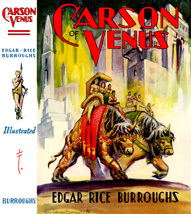 The figure on the spine of CARSON was meticulously redrawn from an extremely hi-res scan to clean up the line work which was marred by halftone dots on the original. PLEASE NOTE: I am offering the first two jackets in what is considered a "varnished" version for collectors who want them to look more like the originals. I do not consider the varnish to be part of the original intention of the design. Read about ERB, Inc. dust-jacket coatings here. Cover by J. Allen St. John. 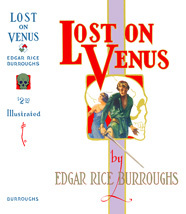 Cover by J. Coleman Burroughs.